- Do all general household works including house cleaning, washing clothes, ironing clothes, marketing, and cooking. 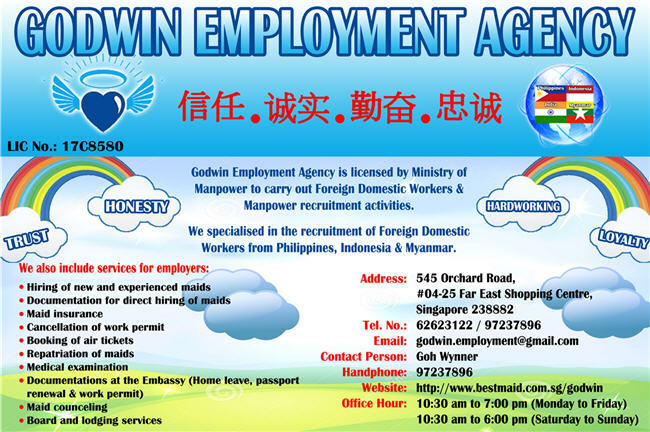 Currently she is looking for new employer and can come in Singapore in 6 - 8 weeks time upon confirmation. is 41 years old. She is single parent who raise her only daughter independently. She is a Catholic and comes from Zamboanga, Philippines. She is able to cook Filipino food and willing to learn new foreign dishes as long as she will be given a chance to train and will be more glad to discover new cuisine that she has never yet done. She can speak Good English as she was graduate of Bachelor of Arts Major in English.